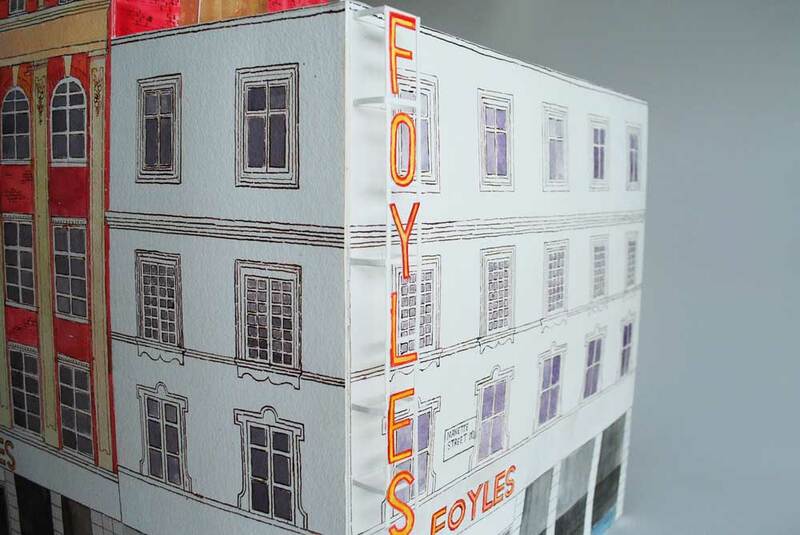 This digital project saw me work with Save Britain’s Heritage to research and document the personal histories of people who worked in the original Foyles Building on Charing Cross Road. To Londoners, these buildings are better known as the former home of Foyles Bookshop. In June 2016, the charity SAVE Britain’s Heritage led a campaign to halt the demolition. Despite strong opposition from many organisations, including The Victorian Society, as well as the signatures of over 5,000 people, the Secretary of State chose not to call in the application. Working with SAVE Britain's Heritage I created a large-scale model of the bookstore to serve as a record of the building. The model acted as a springboard for a heritage research project celebrating the building. This online platform featured interviews with former staff, little seen photographs as well as written articles about urban development and the history of the street. The project aimed to uncover more personal stories, as well as raise awareness of this fascinating building.